Learning how to tie dye is one of those useful life skills that often go underappreciated. I remember tie dying shirts at birthday parties when I was little and having a blast, so it’s my opinion that the world would be a little more cheerful if we all learned to tie dye. 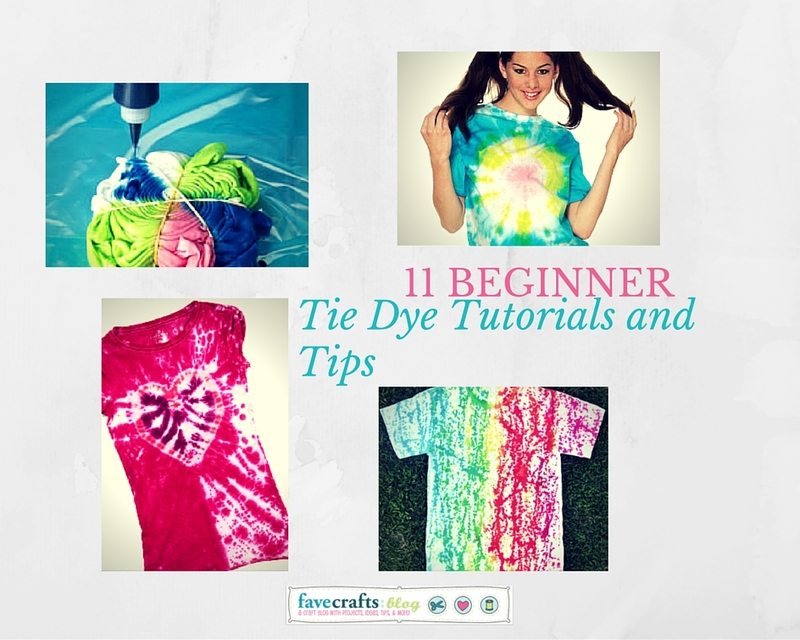 For one thing, there are so many tie dye tutorials out there, you can’t possibly run out of ideas. 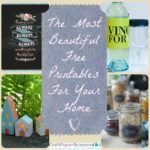 And not only can you have a lot of fun with it, it’s a great way to help your kids or grandkids create their own memories as they make amazing projects. Check out the lists below for tutorials and tips for making some truly wonderful tie dye projects today! 100% cotton material is your best bet. 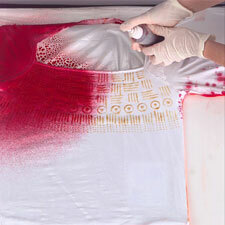 For clothes, a basic 100% cotton T-shirt creates a perfect canvas that will hold dye the best. Experiment with different styles. 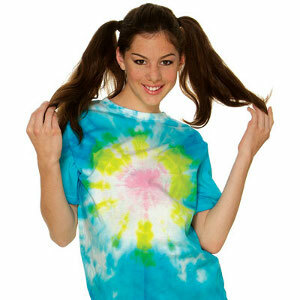 From striped patterns to spirals, there are tons of tie dye patterns out there to choose from. If you do your research (by checking out the tutorials below!) you can choose the best pattern for what you want to accomplish. Don’t be afraid to branch out and choose something a little different! Combine colors for amazing effects. Pick colors that will blend well together, because the dyes that are next to each other will form new colors that you may not want! For instance, rather than sticking that pink right next to the green, consider placing it near your orange or yellow spots. 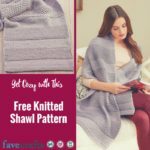 Rinse under cold water before throwing your project in the washing machine! 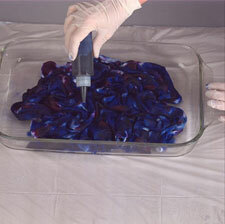 That will prevent dye from getting over your other garments. You will also need to wash the shirt (or whatever your project is!) by itself the first few times in the washing machine, again with cold water. This technique is a tried-and-true tie dye method that yields beautiful results. The bullseye is like the poster child of the tie dye world: you’ll definitely want to try this tie dye tutorial out! 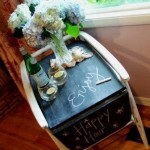 You’ll fall in love with simple yet spunky tie dye pattern that will wow everyone who sees it. 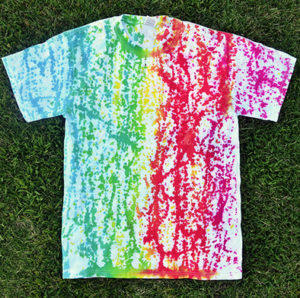 This is another classic tie dye design that you’ll likely recognize. 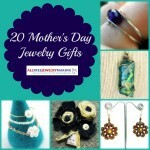 Add it to your list to make! I have a confession to make – I know you shouldn’t play favorites, but this is my favorite one! I remember using this technique when I was little to create an awesome T-shirt. 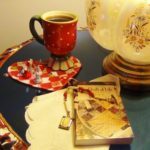 This is a great one to choose if you’re having a hard time deciding where to start. 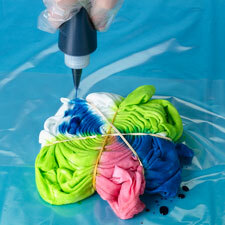 Pictured is just one of the many ways you can use this cheerful tie dye pattern to create your own masterpiece. 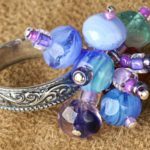 This one is extra fun, because you can make many small sunbursts or one giant one for a pop of color! Similar to the bullseye, this beautiful tie dye pattern is right up your alley if you’re looking for a gift for your daughter or granddaughter, or an activity you can do with them. It’s sure to yield awe-inspiring results! 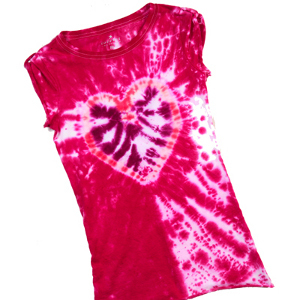 This tie dye pattern is not only incredibly lovely, it’s a fun alternative to more classic tie dye designs. 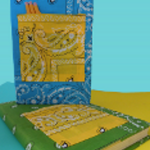 Get your crafting cap on, because this fun tutorial is totally worth your time! 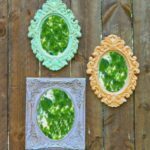 For something a littler different, this abstract drip technique will yield a playful result that will wow everyone who sees it. 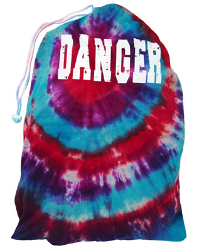 You’ll definitely have fun with this twist on traditional tie dye. Want more great ideas? 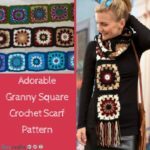 Be sure to check out 100+ Tie Dye Patterns and Techniques. What’s the coolest tie dye project you’ve made?